Report RSS	Development Update - Final Stage of Prototype! 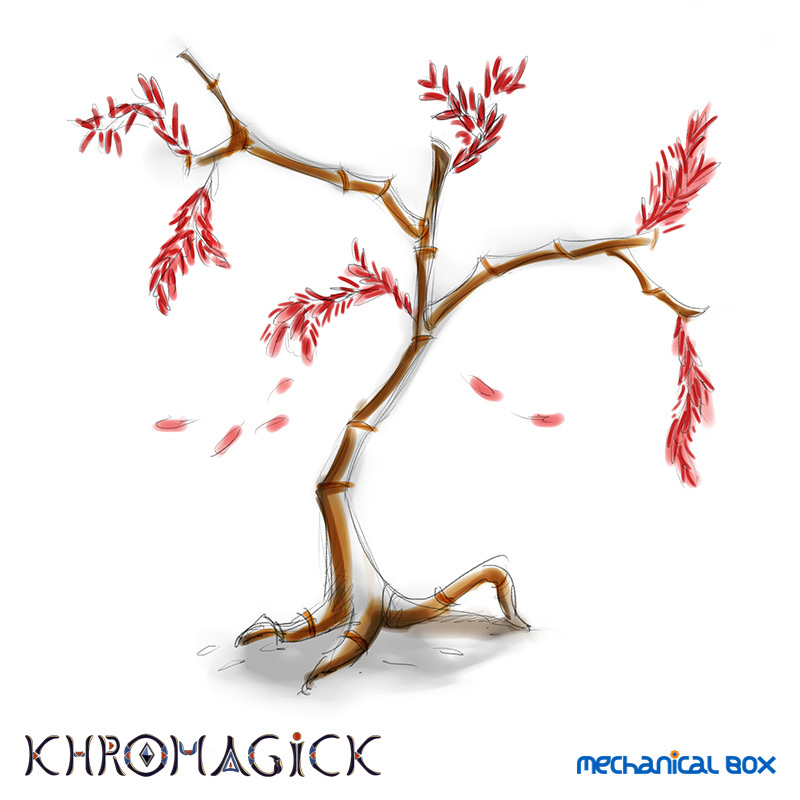 Our new update brings more details about the development KHROMAGICK and takes us a step closer to the alpha-prototype! Hi everyone in the Indie DB community! First of all we would like to thank those who have being supporting and following our project (family and friends included) as we welcome our newest supporters. Despite being absent for a little while, we have been working hard on achieving our goals. We have taken some time to find the most suitable aesthetics, and we can say that we have finally found it. Also, we have been very busy putting together the elements to convey a captivating and enticing world. With this new update we want to share our progress with all of you. For our world vegetation, we used as inspiration some of the flora that appeared during the first sequence of the movie “Star Trek Into Darkness” attempting to resemble a good looking tropical forest with high contrast and matted colours. 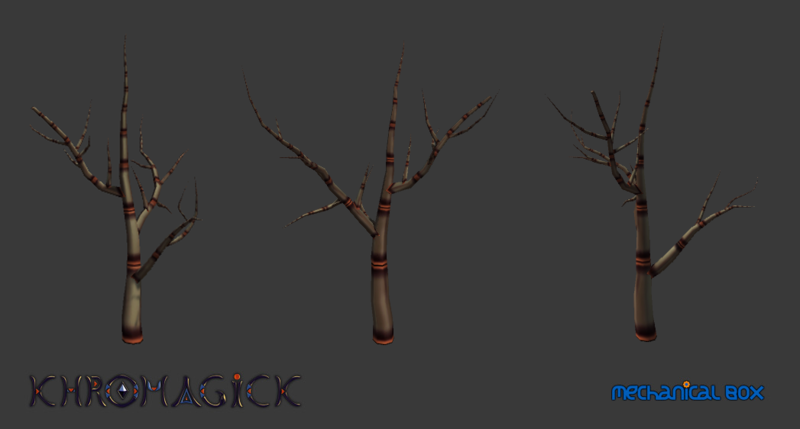 We created the trees taking those key points in mind, but our design require them to be minimalistic, hence low detailed texture and modeling a low poly mesh. 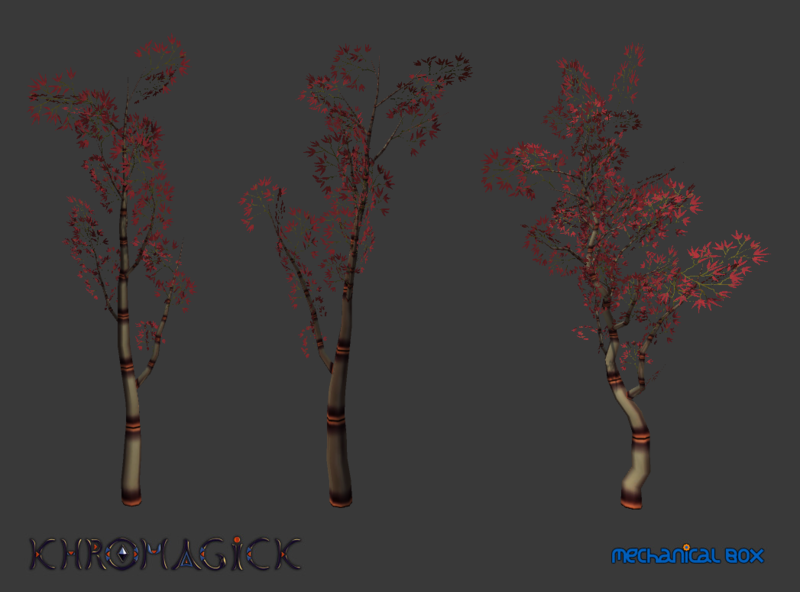 Since unity offers a good tool for tree creation we used the game engine features to develop the trees and place the vegetation on the terrain. Details are what make an environment feel whole and cohesive. Even the simple things can make a difference. Even if it's minimal, the overall experience is more enjoyable. In oder to continue that idea, some ambient elements need to be placed in the world. 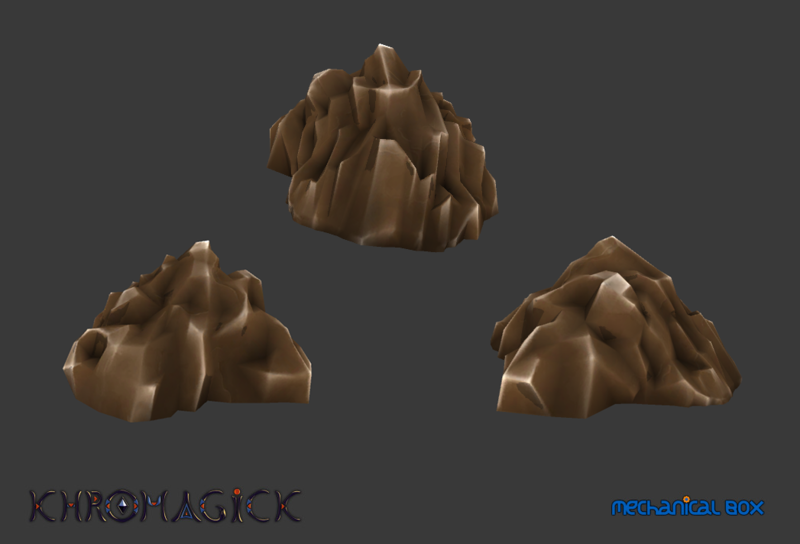 For instance rocks must fit into the visual aesthetics. 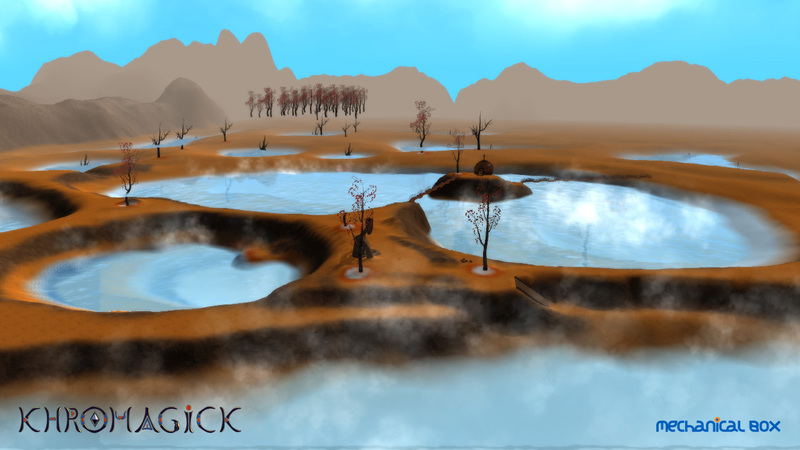 Our main goal for the prototype is to highlight the landscape of the planet's game world. For instance, we found the thermal lakes from Iceland to be a source of inspiration. In order to convey the mood those lakes have, the assets must have water steam coming up and the water colour has to give the feeling of having diluted minerals. 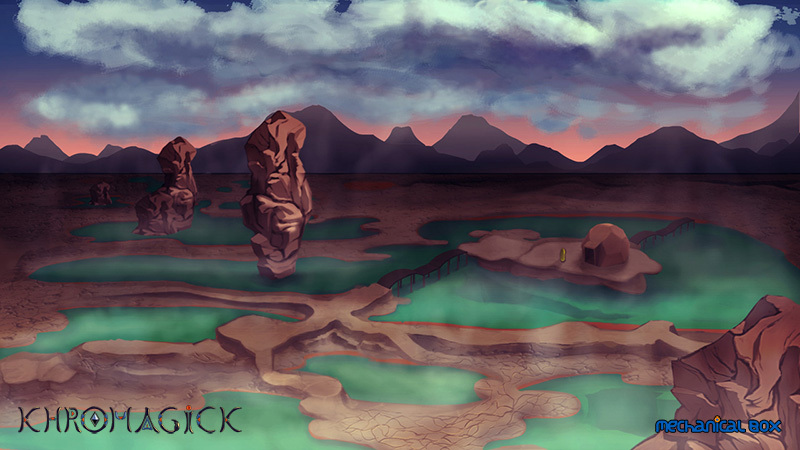 This is a concept art made to try to explore the idea. Finally, the look achieved in the game. (Please note that we still have some limitations with our current technology, since the trees are visible in the foreground and the water shader somehow hides the trees). Having this opportunity to share a glimpse of the animation progress, we are very excited to present you with Malek’s first steps. The team has had a great time with this task; the main objective was to capture the personality of our beloved character, the feeling and flow of every single movement. Besides using professional videos for some key actions, we filmed ourselves to ensure a more organic and fluent movement. 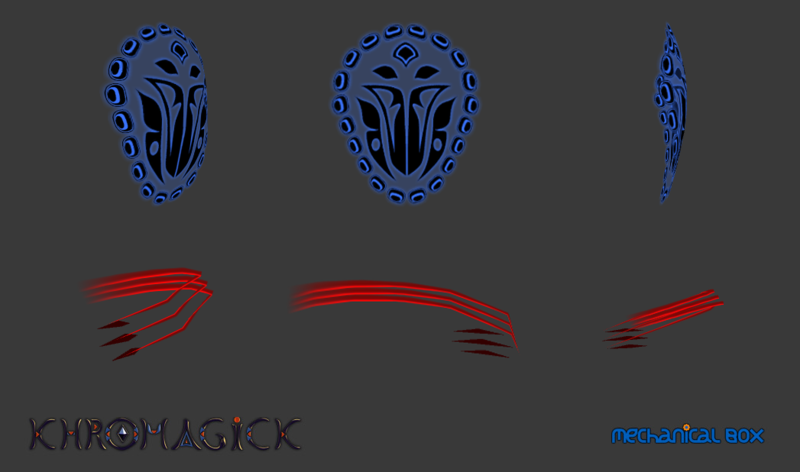 This is a sample showing some animations of Malek. Sometimes less is more and under this premise, having an impact on the player it’s been quiet a challenge. We have done several tests with Unity’s Shuriken System to craft visual effects that follow the aesthetics of the game. Thus, creating a visual unity has to be done with all particles, in particular the Magick Spells to have fall in the "colour" category. 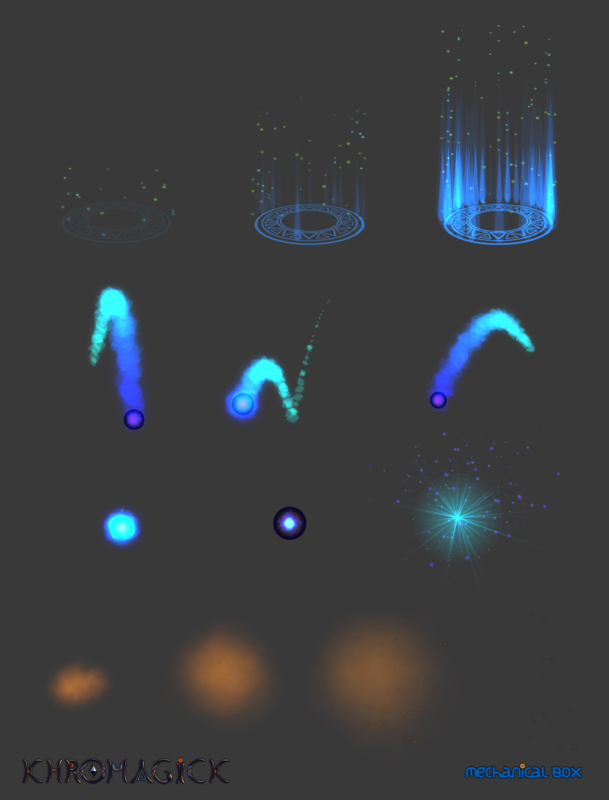 Ambient Particles (from top to bottom: Save Point Aura, Energy Orb and Footstep). Our main visual influence is the North American tribes art (in particular from the North West part). To maintain the same aesthetics along different elements of the game (menus, icons, in-game spells), we used our guidelines developed previously. 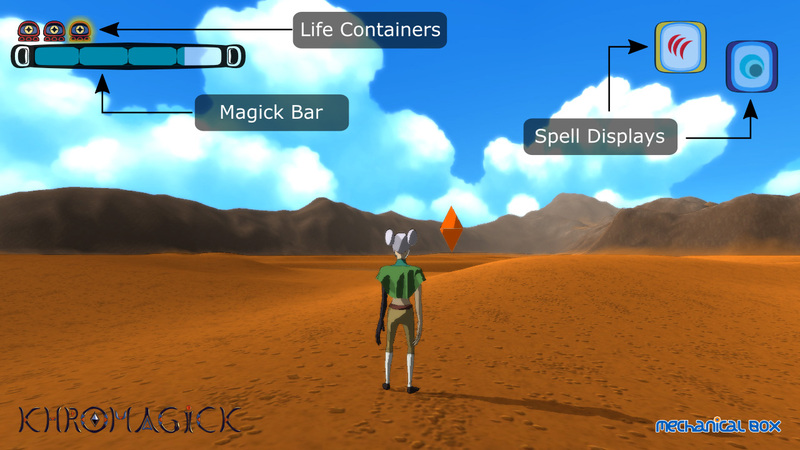 The result is shown in the improved heads-up display of the game: Life Containers, Magick Bar and Light / Shadow Spell Displays. Even if developing different assets used in GUI has been exciting – as they were in constant change and improvement – we had to finish our “sprint” and focus our efforts in other tasks. We hope you like it!